Blockchain technology is allowing us to build a decentralized economy in a largely centralized society. The cryptocurrency’s underlying technology has opened the path to democratic environments, to self-regulated economic models governed by market laws and mechanisms. Soon, we will have a tokenized economy where we tokenize everything including social interactions, and these tokens will be the life-blood of the new system. Leading this new wave of social change is the largest Q&A social network in the world, ASKfm. ASKfm is, at the moment working on its own open and high-loaded blockchain-based Q&A platform that will work as an extension to the already existing network. To be successful at tokenizing social interactions, ASKfm is introducing a new token out of conceptual necessity. A transfer of 215 million registered users in more than 168 countries and maintaining 49 languages to the crypto market makes it the single largest mass introduction to the future. The internal token will be called ASKT. ASKfm is a discussion platform that is designed to allow for progressive people to easily communicate and gain experience by corresponding with each other from within their peer group, without having to worry about social awkwardness or shyness. After months of framing a blockchain solution, it’s finally ready. 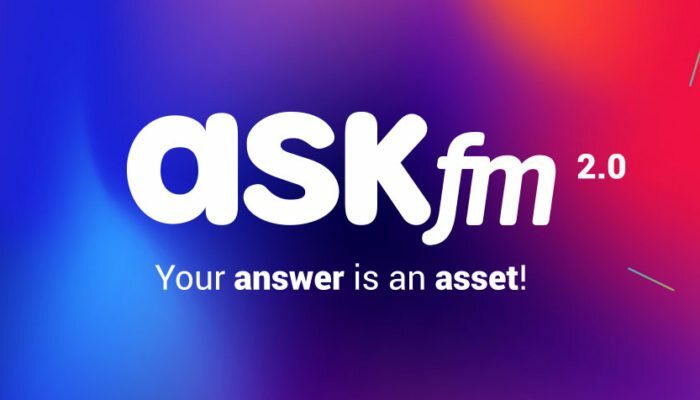 The next stage of the project, ASKfm 2.0, a high-quality user-generated content Q&A social network based on blockchain technology, is providing token incentives for participants. ASKfm 2.0 is designed to connect users to the people who are more likely to help solve their dilemmas. The platform is being developed to accommodate an educational aspect that will enhance the user experience with a series of incentive-based challenges that will include tutoring, online courses, and other informational activities. ASKfm 2.0: The Economy of Knowledge. Once it’s launched, ASKfm 2.0 will help people share their knowledge, opinions, and experience openly and independently. The new blockchain based network will provide token incentives for participants so that users can be directly rewarded for the content (both questions and answers) they create and become influencers by increasing their expert level and frequency of responses. Once the tokens are in circulation, any user on the platform owning ASKT will be able to participate in the creation of a self-sustainable economy of knowledge. As an ASKT holder, the user will be entitled to asking any question and bid a certain amount of tokens to incentivize other users being asked the question to either answer or to decline. The pre-sale and main token sale dates are as of this moment unconfirmed yet. ASKfm is in the process of conducting its Private sale. Currently, the general public can only apply for the whitelist. Once the public token sale goes live, ASKfm will be offering 50% of the total 2,000,000,000 ASKT to investors and potential users. The initial price of ASKT will be set at $0.1 per token. In total the social media platform plans to sell $100 million worth of tokens.